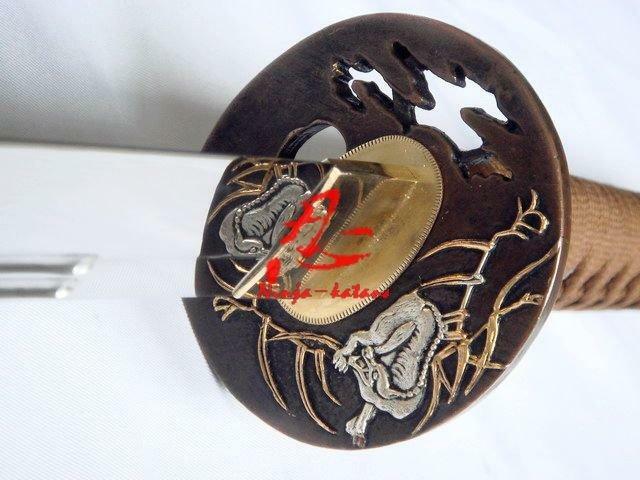 -Saya (Scabbard): the sheath of the sword is make of hard wooden with black lacquered be matte. 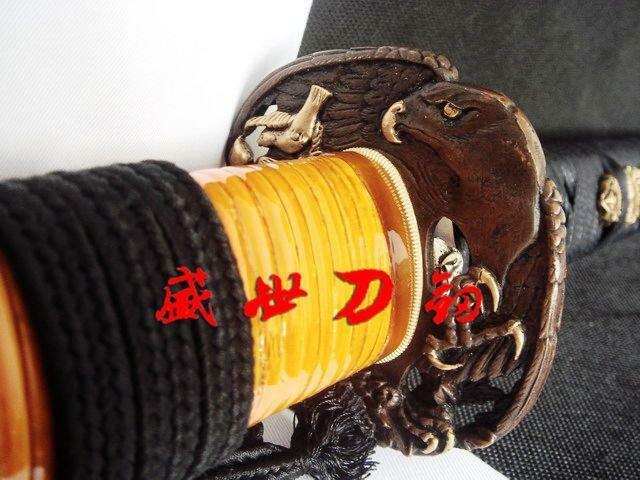 silk sageo also rolled both side of kurikata to match sword's tsuka-ito. 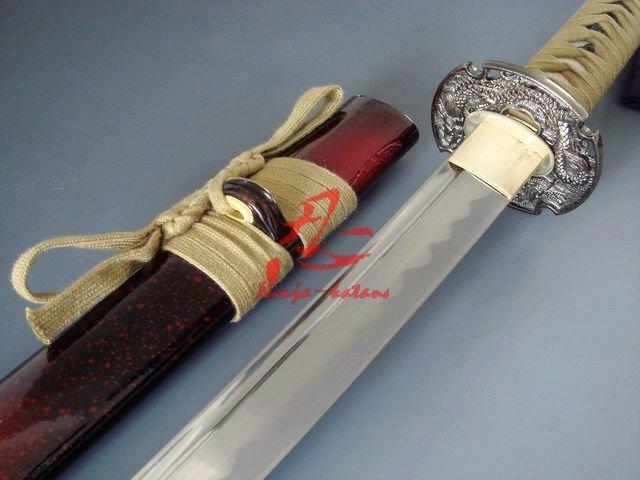 -This blade comes with a full length Tang which greatly enhances the strength of the sword. 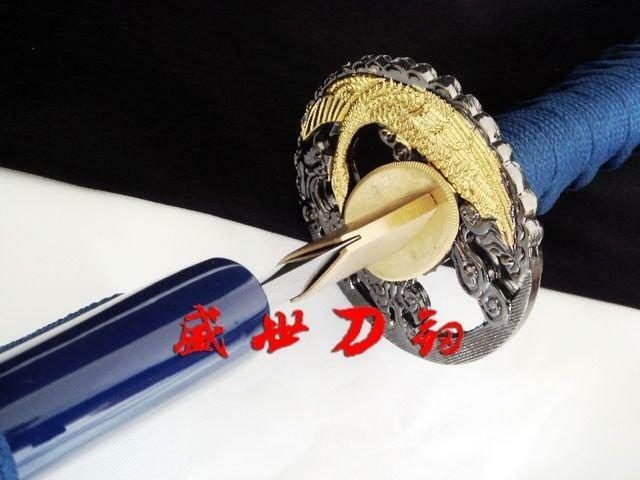 this sword is strong enough to cut through a thick bamboo tree with a single strike yet sharp enough to slice paper. 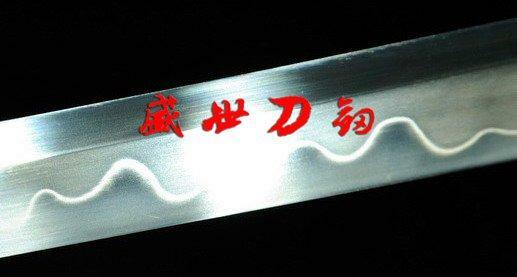 -The blade was made of rolling t-10 high carbon steel, and it has been laminated in a Maru style with a clay temper line. A special clay is applied to the blade by hand, using a thin covering near the edge and a thicker layer over the rest of the blade. this results in a relatively quicker cooling of the edge during quenching, producing a hard edge and softer back. 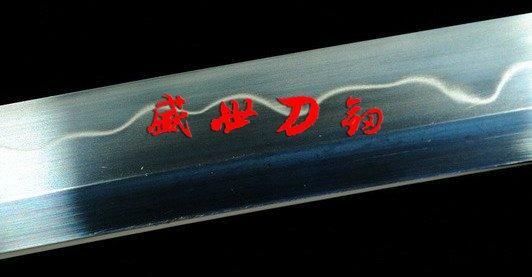 the beautiful real hamon on the blade is also result of the differential cooling of the blade (quenching and tempering). 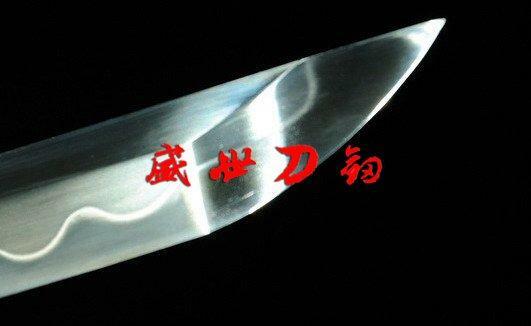 this blade tip done chu kissaki & with real kissaki; real hamon line going all the way through the Boshi. 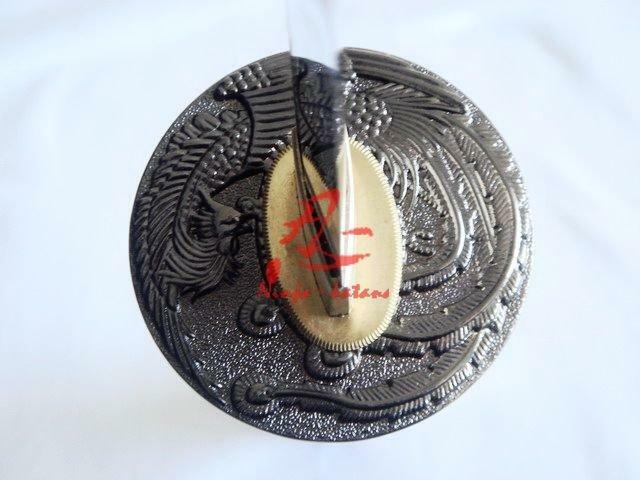 -This blade has been hand polished with multiple grade sharpen stone by Japanese method, which made the surface of the blade like a mirror, the blade is also very sharp. 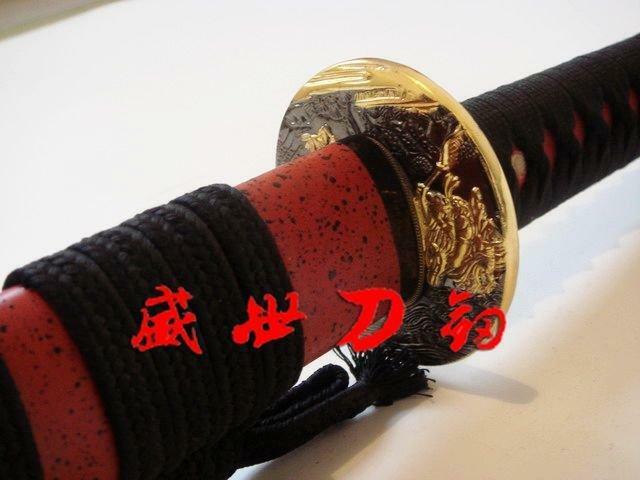 This sword is for those who want a real sword. 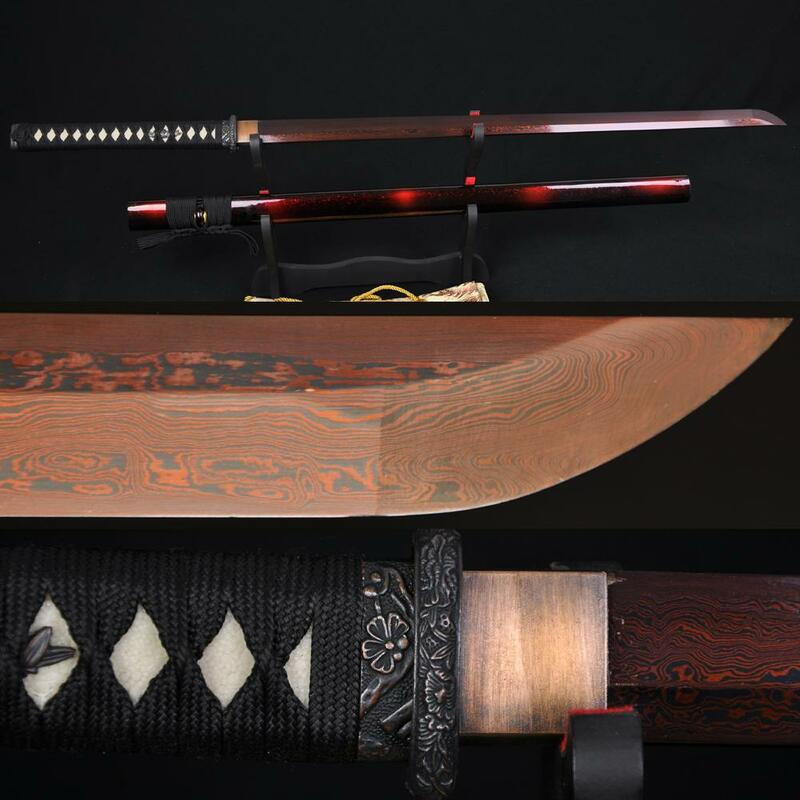 The sword is made in the exact same method of the ancient Japanese process of making swords and is sharper than a razor. 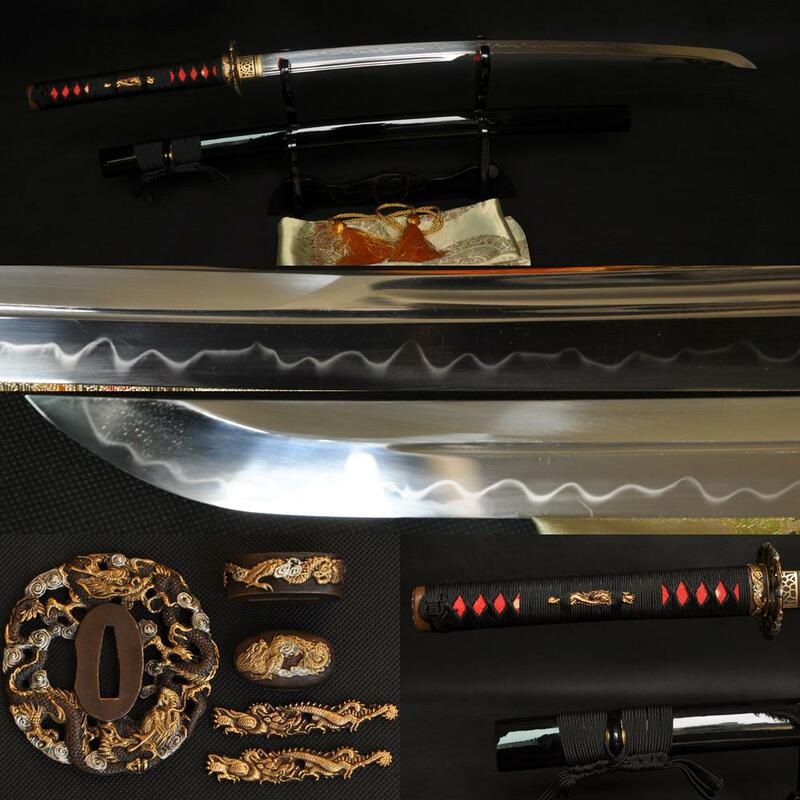 The accessories of the sword are all authentic from the ray skin handle, and iron fittings. 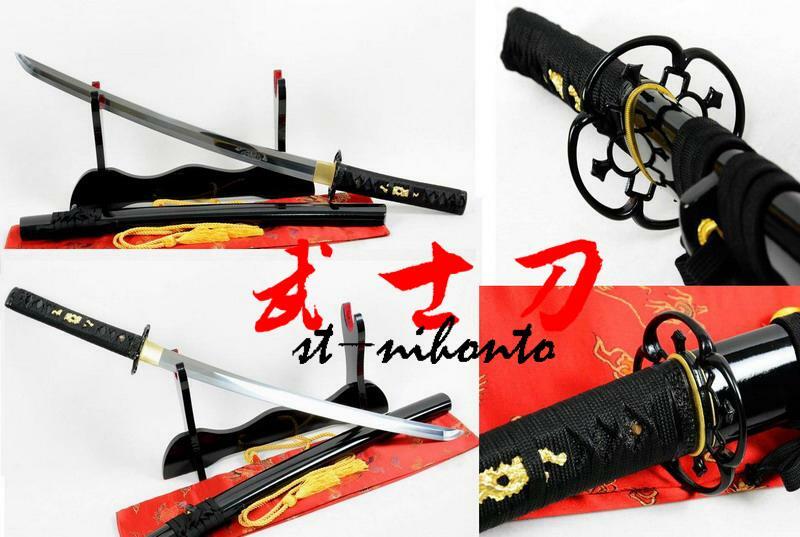 This is the best sword you will find in the price range and nice work.